The Gandalf Safari Camp is a small hotel in the Wild South of Réunion Island, a French department in the Indian Ocean, which is known for its volcanic, rainforested interior, coral reefs and beaches. Its most iconic landmark is Piton de la Fournaise, a climbable active volcano standing 2,632m (8,635 ft.). Piton des Neiges, a massive extinct volcano, and Réunion’s 3 calderas (natural amphitheaters formed by collapsed volcanoes), are also climbing destinations. 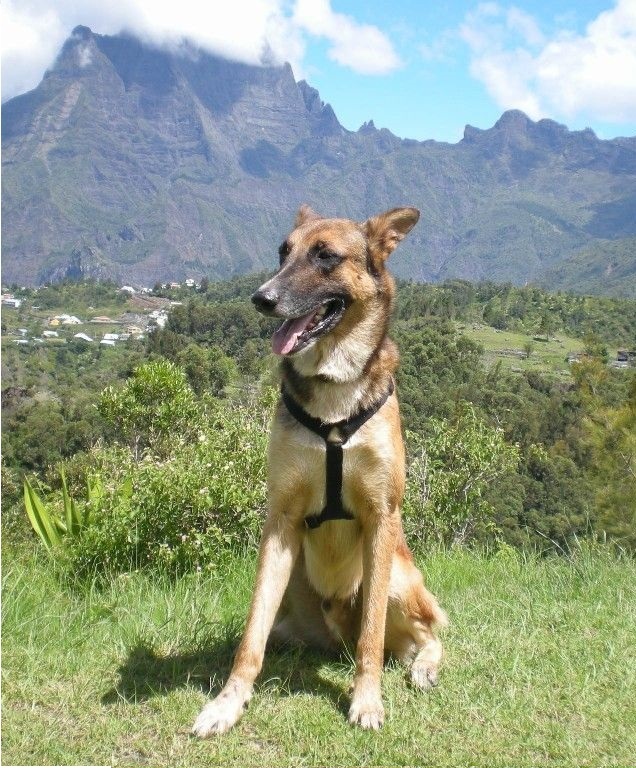 my name is Gandalf, I am a Belgium Shepard (Malinois, friends call us affectionately “Malli”). I was born on June 26th, 2006. On the 1st of june 2018, after almost 12 years of happy dog live, I had to leave this world. My home was close to St. Joseph, a city in the green and wild south of Reunion Island. “Ile de de la Reunion” is a volcanic island in the Indian Ocean, about 800 km east of Madagascar and 180 km SW of its better known and elder sister Mauritius. On the picture, you spot me in Cilaos in the mountains of the island, in frond of the Col de Taibit, the pass towards Mafate. But I lived at the coast, at the foot of an active Vulcan “Piton de la Fournaise” in Manapany les Bains. just a private tiny Lodge on top of the Indien Ocean. A lot of names and definitions for a spot that is located between Madagascar and Mauritius, grown from a volcano from over 4,000 meters depth. Each name or description fits better than each other, none will be suitable to describe all together. Or? Nature, people, cultures and religions, abundant vegetation and steppe, hot lava and young green, mild topical weather and enormous cyclones, mellow beaches and bellowing waves. like to introduce you to it all. Our goal is take away your fear of distance and your reservation and find your hidden desire for travel and adventure. We want you to learn about something unique.